January 2019 set a tough precedent in affiliate income for February. In terms of affiliate revenue and net profit, it was the best month I’ve ever had. Let’s face it: February is not the best month for affiliate marketing. It’s the shortest month of the year. This affected my affiliated earnings to some extent. That said, the main reason for this steep fall in affiliate income was that most of my focus was diverted towards my agency, where I was able to acquire three new clients in the same week. The first few days are always critical while servicing the new clients you’ve just acquired. Which is why I’m always hands-on with my new clients in the first two weeks. After that, I delegate a few tasks to my team. I’ve been blessed with a remarkable team who are always committed in achieving the best results for our clients. As such, I’ve no problem delegating important tasks to them. 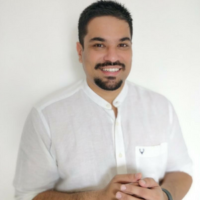 This will enable me to redirect some of my focus back to blogging and affiliate marketing in March, and provide me with ample time honing the existing content on the blog and create new content. Now let’s dive right in to last month’s income report. As always, before I reveal my full income report and net profit breakdown for the month, here are a few important highlights from February. Below are all the blog posts published in February 2019. Did you read all of them? If not, please feel free to check them out now and let me know your thoughts in the comments section. 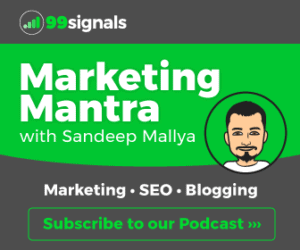 Last month, I was able to record and release 2 new episodes of Marketing Mantra, all of which are available on Apple Podcasts, Google Podcasts, Spotify, and other major podcast playing platforms. I was able to publish just one new AppSumo video review and walkthrough on YouTube last month — WebTextTool. It’s one of the best deals AppSumo has ever offered — a deal that keeps recurring on their site because of how incredibly useful the tool is. 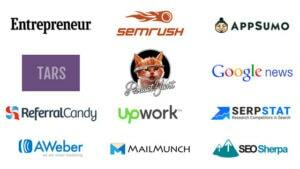 You can check out the latest AppSumo deals here. If you’re a frequent reader of my blog, I’d urge you to please consider subscribing to the 99signals YouTube Channel as well. I’m uploading at least two video reviews and walkthroughs each month in addition to other interesting marketing content. I’ve taken up a new Goodreads reading challenge in 2019 and the challenge is once again the same — to finish reading 100 books by the end of 2019; 25 of which to be business books. I read two business books in February — Never Split the Difference by Chris Voss and Made to Stick by Chip Heath and Dan Heath. If you’d like to improve your negotiation skills, there’s no better book than Never Split the Difference by Chris Voss. Chris Voss is a former international hostage negotiator for the FBI and in Never Split the Difference, he reveals the negotiation skills and tactics he used at the FBI in some of the toughest scenarios. In the book, Voss shares nine effective negotiation principles you too can use to become more persuasive in both your professional and personal life. 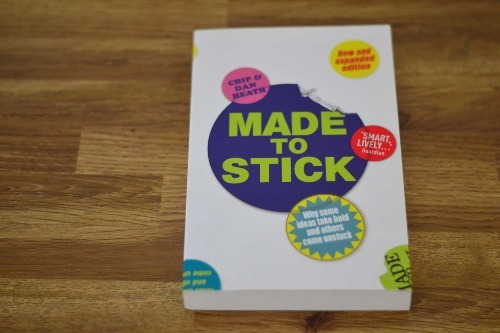 Made to Stick is a book recommended by lots of marketers, advertisers, and entrepreneurs. In the book, brothers Chip and Dan Heath provide a checklist that marketers can use make their messages sticky. The checklist consists of six principles (Simple, Unexpected, Concrete, Credible, Emotional, and Stories aka the SUCCESs checklist) and the book delves deeper into each of these principles, all of which play a pivotal role in making your messages sticky. I was constantly taking notes while reading this book because I realized how important the checklist was and I didn’t ever want to forget the six principles. The Heath brothers do a great job explaining each principle with numerous examples and there are several case studies to drive home the importance of each principle. Here’s my income report for February 2019 — affiliate earnings, followed by other income, expenses, and net profit breakdown. That wraps the income report for February 2019. Congratulations on your earnings bro. Keep it up and drive more traffic to SEMrush. It’s a huge source of recurring earnings. I will start my own affiliate with HOTH and see where I get with it.